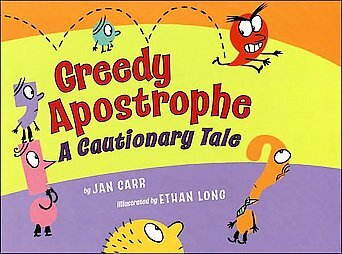 Greedy Apostrophe: A Cautionary Tale (2009), written by Jan Carr and illustrated by Ethan Long was quite an informative little book. I believe that it would go under the title of edutainment since it was informative, educational, and entertaining all at the same time. I highly recommend this book since it does double duty. It could introduce or reinforce the concept to the students while serving as a refresher for parents reading the book to their child. This was definitely a great purchase. I purchased this in the summer and I am definitely going to use it during English/Language Arts. I would put this book (as far as reading it independently) at 3rd-4th grade level. However, the content can be understood by students as young as 2nd grade. Plus, the illustrations are cute and interesting enough to capture the interest of young children. I know that my students will really respond to this book. They’ll be learning and they won’t even know it. I even have a game in mind for them that I’m going to make up. It’ll be called find the “right” apostrophe. The idea came from the book since the greedy apostrophe bounces around a lot and insinuates himself into situations where he does not belong. Hence the title “greedy”. 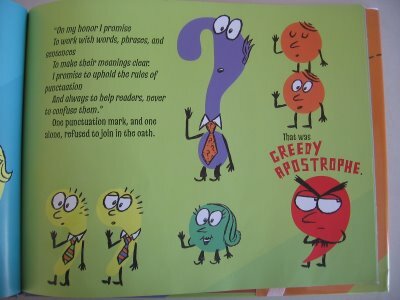 Synopsis (from book jacket): Greedy Apostrophe is on the loose and causing all kind’s (kinds) of trouble. Hide your toy’s (toys), your dog’s (dogs) and your ice cream cone’s (cones) because nothing is safe from his greed. He want’s (wants) it all. But this isn’t his book, it’s yours (not your’s). Save it from the hands of Greedy Apostrophe-before it’s (not its) too late. “The big question is how are we going to stop the Greedy Apostrophe?” wonders all of the other punctuation marks. How indeed? He is all over the place, especially in places he’s not supposed to be. As they line up, wondering what jobs they would be assigned, who should burst into the door but the Greedy Apostrophe himself? While the other punctuation marks did not like it, their disdain would have to wait as they recited the Punctuation Oath. To make their meanings clear. However, one punctuation mark refuses to recite the oath. Who is it? Of course it is the Greedy Apostrophe. He does not believe in the oath. He thinks that it is his job to confuse readers-not help them. As everyone else is handed their job assignment, the greedy apostrophe is the last to receive his job assignment. The assignment is for a possessive! Oh boy! All the other punctuation marks freeze because they know that he always gets into trouble with possessives. The Director reminds him that, since he’s assigned possessive, he is only allowed to insert himself before an s if that s is there to indicate that someone possesses something. “Do you understand that when readers see you, they understand that something belongs to someone?” asks the Director. Do you think the Greedy Apostrophe is going to listen? Well, I guess you’re going to have to read it for yourself to find out. Okay, this is my beef for the day. In my program, there are a lot of young “intellectual” types. They are working my last nerve. Whenever we are given an assignment, they have to question everything and let the instructor know that they don’t agree with the assignment for whatever reason. Usually it’s a vague, almost hippyish reason why. I am opposed to testing. I don’t believe that I should invade a student’s privacy by observing them. I don’t believe in standardized tests. What am I thinking while all of this whining, complaining and trying to get out the assignment is going on? 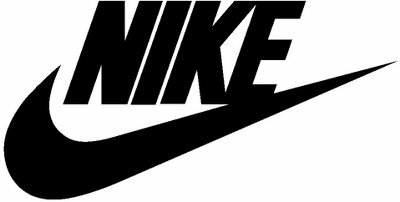 I’m thinking that they should shut up, be like a Nike commercial and just do it. What is so hard about that? They are so young and don’t understand life. I understand about being inquisitive and not being a drone and doing whatever you’re told, but come on. One student asked me why didn’t I just buck the system by not buying into all the b.s. “Why don’t you and everyone else stop buying into this massive lie being perpetuated “by the man”, said she of many conspiracies. Well, according to her, we (as in everyone) are the man because we are governed by the people. So we, as the people, are actually the man. Therefore we are holding ourselves down. For real? Even though I am diametrically opposed to standardized testing, the assignments are requirements for passing the class. Testing is one of the requirements of teaching. Deal with it!!!! Do you see what I’m dealing with? I cannot wait to graduate because I am like a Nike commercial, I just do the damn assignments and not complain. I realize that I cannot just buck the system because I have four children that have to do silly things like eat, wear clothes, and have a roof over their head. Silly me for not bucking the system!!! And that, my dear sir or madam, is my rant for the day!!! All that I am, I owe to my hard times. All that I am, I owe to my suffering. All that I am, I owe to doing what I didn’t want to do. All that I am, I owe to being hard headed. All that I am, I owe to my good times. All that I am, I owe to my joyous times. All that I am, I owe to my willingness to listen. All that I am, I owe to God. I just wrote this as I was preparing to write this post because I have been looking back and reflecting on my wildly unsettling, yet wildly successful year last year. There were so many cards stacked against me. It was not a good time in my life, but, you have to think about it, how else can a diamond be formed unless it’s put under an enormous amount of pressure? How else can iron be forged if it’s not put into the fire? There were many times where I thought that I just could not possibly make it another day; when I just wanted to lay down and give up. Just then, I would hear this small, still voice that would let me know that everything would be okay. I can’t believe I survived. I know that I’ve written a lot about this, but I truly cannot believe that made it. It was one of the hardest years in my life. I thought that I was going to break, but I didn’t. I didn’t. I didn’t break. Instead I thrived. All of last year is a blur. As hard as everything was, it doesn’t matter right now. It’s like it never happened in one way. In another, it’s like it had to happen for me to start on the path that I am on. Of course I questioned why I had to travel this hard path. But, it’s not for me to wonder why. I’ll just go along with the flow like I always do and continue being me. 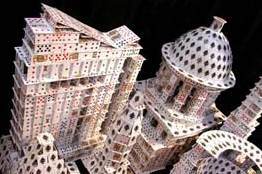 You know what, even though the cards were stacked against me, God brought me through it all, and those cards turned into a beautiful building. Much like the what I’m “building” in my life and my classroom. Well, I have to go. I’m off to fix up my classroom. As always, here’s to continued success this year and the years to come. I was @ a birthday party on Saturday when I noticed that the owners of the house owned a karaoke machine. “Hey, Rose. Is that a karaoke machine?” I ever so politely asked. Boy, did I enjoy myself. I was unstoppable. Six, seven… well, about 15 songs later, I was as happy as I could be. 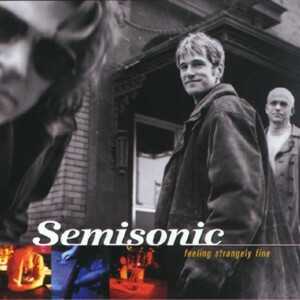 Of course I sang my staple songs, but since I had the mic all to myself, I threw in a new one- Closing Time by Semisonic. I just love this song. Every new beginning is some other beginnings’ end. When I first heard this song a couple of years ago, I thought that that was possibly one of the best sayings I’d ever heard. I have been thinking about that saying because I am beginning my 2nd year of teaching. In order to begin teaching I had to obtain that oh so previously elusive Bachelor’s degree that I had been desiring for so long. That new beginning-teaching- was my other beginning’s end, which was that of completing that long sought after Bachelor’s degree. Endings can be sweet, they can be bittersweet, they can be horrible, etc… You just never know. For now, I am not concerned about the bittersweet or horrible endings though. Right now, my main concern is about happy endings, or rather happy beginnings. I may have had a very rocky beginning to my teaching career, but I wouldn’t trade it for anything. It is what has made me who I am. It is what has put the swagger (according to my husband) in my step. So, that’s it; that’s all I have to say for now. I have to go. I need to get up in the morning and continue fixing up my classroom. As always, here’s to continued success! What are the biggest differences between a student who knows how to spell and one who struggles? Kids who are good spellers tend to enjoy learning, read more, and do better in all subject areas. They normally have the confidence that they can tackle most academic learning. Poor spellers, on the other hand, usually dislike school, are often frustrated, and try to hide their learning challenges. That was the problem with almost all of my students. They couldn’t spell because some of them didn’t even know the alphabets. I really worked on that. This year, I am going to work on spelling, phonograms, & high frequency & sight words to keep my students on the marvelous track they started on. Hey, folk, I found this informational article on Scholastic.com. Posting a daily schedule keeps students informed and the day on track. Figuring out how to get it all done is a challenge for all teachers, not just new ones. Sometimes it will feel like there are simply not enough hours in the day. But here’s a secret: As these first few months pass by and you gain more experience, you’ll realize that you can accomplish more in a day than you did at the outset of the school year. Until then, here are some time-saving tips for managing all you have to do as efficiently as you can. 1. Analyze your schedule and set priorities. Categorize activities such as reading, math facts review, and oral language learning as high priority and activities such as holiday art activities, free-choice time, and an enrichment video as low priority. Be assertive in cutting down on the time for low priority items. 2. Cluster specials such as music and art in order to give yourself a longer planning time and to create fewer interruptions in reading and writing time. 3. Offer immediate activities for your students to do as soon as they come in. In many schools, students arrive at staggered times. Many teachers have students immediately begin to read from book boxes or write in their journals. 4. Streamline housekeeping by creating efficient ways to accomplish housekeeping tasks, such as taking the roll and determining lunch status with a sign-in board or name magnets. 5. Keep materials readily and quickly accessible to your students. One teacher I know has students’ folders (color-coded by subject) in different crates. The students are divided into committees of five, and each committee has its folders in one crate. The crates are in different parts of the room. When students need to retrieve their writing workshop folders, they scatter to different points in the room. Only five students are getting into a given crate to retrieve materials. This simple system eliminates the lines and inevitable delays that occur when all of the students are getting materials from one place. 6. Use mini-lessons. Mini-lessons are just — that quick, focused lessons. For a week or two, estimate the appropriate time for each mini-lesson you do. Set a timer for the estimated time. When it goes off, are you still introducing the lesson? Are you halfway through? Are you writing the last examples on the chart? This exercise will help you be more aware of the pacing in the lesson. 7. Talk less. While it is important for you to have conversations with your students, you will find that the less talking you do, the more students will learn and the faster lessons will go. 8. Develop systems for yourself so that you can efficiently accomplish tasks. For example, establish a system of checking reading journals over the week. Some teachers have the Monday Kids, Tuesday Kids, etc. This way, you have five to seven journals to look at each day rather than a whole pile at the end of the week. 9. Try incidental teaching during in-between times in the day. If you have five minutes before lunch, review a mini-lesson or read aloud a bit of a familiar well-loved story. If young students are lining up, have them sing a song or enjoy shared chanting of a favorite poem (thus promoting phonemic awareness). This article originally appeared in Instructor, published by Scholastic.